Underage smoking has turned out to be the biggest concern in Australia and many countries across the world. The college-goer boys and girls start smoking as a fashion symbol and gradually become addicted to those nicotine containing cigarettes. One out of five high school students do casual smoking. Every year, more than 1.5 million cigarette packs are purchased for underage kids. Every day, more than 3 thousand teenagers light up their first cigarette. Smoking does not only make smokers suffer from certain health issues but can also make them lose their lives earlier than non-smokers. It is the responsibility of parents to prevent their kids from smoking cigarettes and other substances. Forbid them from smoking inside and outside the home and monitor them to make sure they follow instructions. 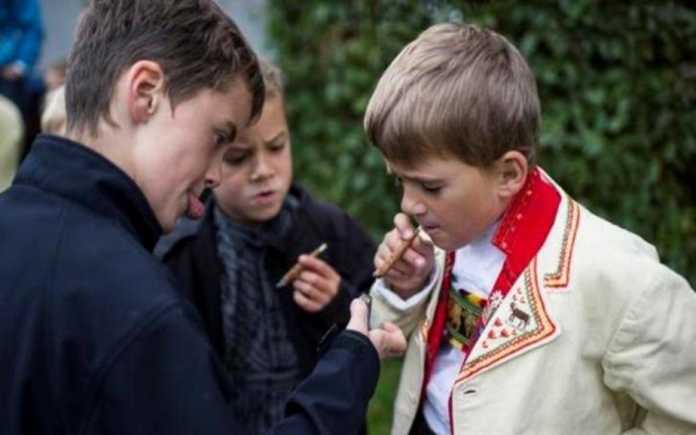 This article discusses what parents need to know about underage smoking and how they can protect their children from this curse. It is known to everyone that smoking is injurious to health. However, many of us are not familiar with its horrible consequences and health issues. Smoking can develop lung and throat cancer and trigger many other forms of cancer. It can make you suffer from heart diseases, lung diseases and many skin related issues; there are many reasons to quit smoking. The smokers can have more wrinkles, a darker and uneven skin tone. According to the statistics provided by Food and Drugs Administration (FDA), 30 percent of teenagers die younger due to smoking-related health issues. One cigarette makes you lose 13 minutes of your life and you are likely to die 13 years earlier than non-smokers. In the United States, 1 out of 5 deaths are caused by smoking and overall 480,000 deaths have been occurred in America due to smoking. The first and foremost thing to prevent teens from smoking is discipline and house rules. You must have strict rules to be followed by the whole family relating to smoking and substance. Even elders and parents should not be allowed to smoke in front of teens. However, if you are a father or mother who has failed to get rid of smoking, you need to be more cautious to protect your teens from this curse. Secondly, you must have a strong bonding with your children so they inform you about their every new adventure even if it is related to smoking. Kids usually do what they are forbidden to do. Their curious nature makes them experiment different things which can also include lighting up a cigarette. But, if they have a strong relationship with their parents, they would do these things after taking their parents into confidence. Also, they are more likely to inform you if they are being forced by any fellow for smoking. Third and most important is monitoring. Keep an eye on the activities of your kids to stay informed of their every single action. Monitor their social media accounts to be aware of their plans. However, it is not possible to be with your children all the time. Here, you can take the support of monitoring applications. There are several mobile phone monitoring and tracking apps that are intended for parents to keep their children under surveillance. Once you install a cell phone spy app on the mobile phone of your kid, you can monitor every single online and offline activity perform on and around that device. For example, you can monitor photos and videos stored on your kids’ phone to detect if there is anything related to smoking or substance abuse. The spy app also let you supervise the private parties of teens where you cannot accompany your kids. You can turn on the camera of your kids’ mobile phone by using the spy app and see what is happening around. You can also listen to the conversations to find out whether your kid is having a good company or not. There are many other things you can do using the mobile phone spy app. It lets you monitor social media activities of your kids to make sure they are not up to any risky or forbidden tasks. In short, you can keep tabs on their every online and offline activity to make sure they are protected from smoking and other potential threats.